Just… wow. 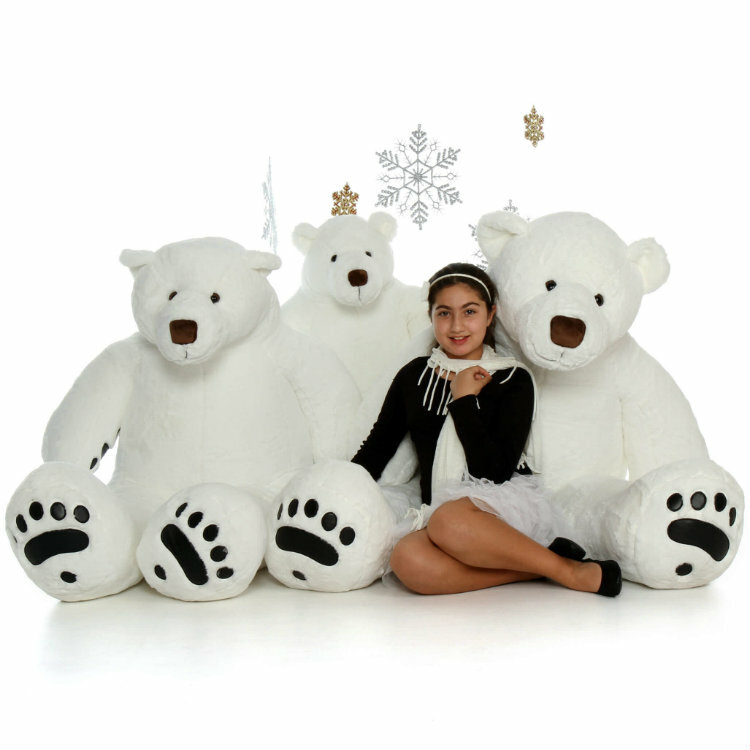 Chilly Klondike is a life size 6ft (72in) polar bear. He’s huge. Enormous. Did we mention B-I-G?! Chilly is also super adorable, with the softest white fluffy fur you’ll ever feel. He is made to resemble real polar bears, with a silly face, slightly square nose, smaller round ears, huge feet with black leathery paw pads, and a very small tail in back. Chilly Klondike is one cool cuddly polar bear, and you are going to make someone happy in a GIANT way when they get the chance to hug him. Don’t forget the greeting card! Type up to 70 words in the “Card Message” box and we’ll print it inside one of our custom Giant Teddy full size greeting cards and tuck it in the box with Chilly Klondike.